A while back, the beautiful Shannon Harris - aka "shaanxo" on YouTube - was kind enough to send me some of her xoBeauty makeup brushes to try. I'm ashamed to say I've had them for such a long time, and am only just getting around to posting about them now. These brushes are beautiful, and I use them every day! Shannon was so generous and sent me 6 of her most popular brushes; the Flat Top Synthetic Face Brush, Bronzing Brush, Eyeliner Brush, Eyeshadow Blender Brush, Synthetic Eyeshadow Brush, and Tapered Top Synthetic Eyeshadow Brush. All of these brushes are beautiful and soft, and they wash up like new! 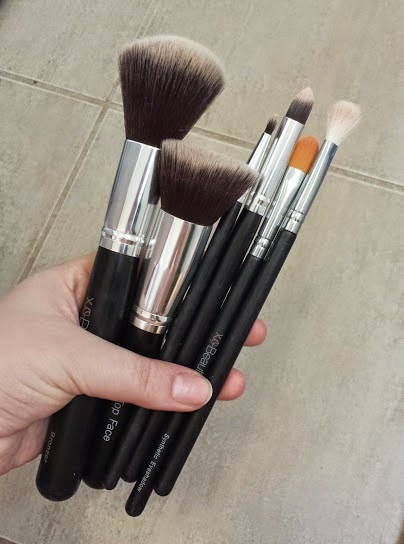 Shannon has designed them so that each brush is labelled, which I really love - I think it's such a nice idea, especially for beginners to know exactly what each brush is for. The Flat Top Synthetic Face Brush, is my absolute favourite! I use it every day as a foundation brush, and it does such a beautiful job, with no fall-out. The Eyeliner Brush is lovely and precise, although I must admit that I tend to use it for concealer rather than eyeliner - I find it's really good for applying concealer to small blemishes or discolouration, without ending up with way too much product than what is needed. I use the xoBeauty Eyeliner Brush to apply the concealer to those areas, and then use another, just slightly bigger brush to blend it out and set with powder. The Eyeshadow Brushes are perfectly labelled - they all work so well for their individual purposes, and the Bronzer Brush is sooo lovely and soft! Disclaimer: All opinions in this post are my own and I have not been sponsored in any way﻿, other than having been given these products free of charge to try. My opinions are honest and based on my own experience with these products. 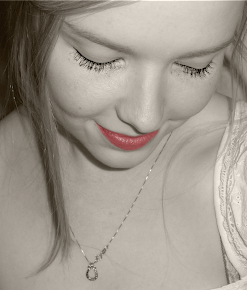 I do not claim to have any qualifications within the beauty industry.